Does anyone have information on the colour of Sonny Levi's 1967 'Delta 28' please? The boat was an ultra-short version of 'Surfury' effectively, and was quite a bit faster but very unstable, possibly due to the forward CoG. It was later re-built with a 'ram prow' which improved things somewhat. I've got both of Sonny Levi's books and one has some excellent plans for the boat, but there's not one colour photo of it anywhere. I've searched the web with no result as well, so I'm feeling a tad stumped here. I guess the main hull colours were the same dark blue/white as 'Surfury' but it's things like the cockpit interior that I'd like too. I think I've seen a pic, where the Delta 28 had a white hull with red trim lines. But I don't remember of the cockpit. Maybe you can google not only for Sony Levi, but for Franco Harrauer. So you will come to an italian-english site about Delta-designs and others of this time. Thanks for the pointer, that site is http://www.altomareblu.com/?p=555 which I found already unfortunately. 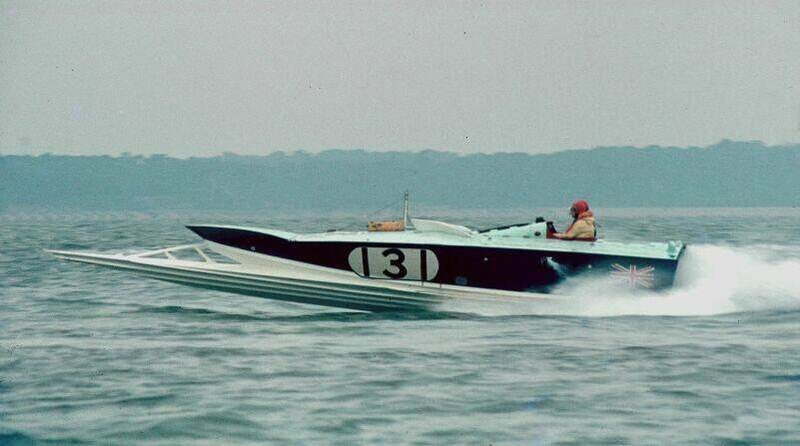 But the Delta 28 on there isn't the 1960s race boat for some reason. It's a fast cruiser that seems to be from later on, I can't imagine why Sonny would name it from one of his more radical designs, but he did. Having returned to the model boating scene after what is termed 'a health scare' these days, I found my long abandoned Delta 28 project (see the 'build' progress here http://www.modelboatmayhem.co.uk/forum/index.php/topic,16045.msg159204.html#msg159204) and did some more searching on the net for colour photos of that crazy boat. This time I was successful, and I filched and shrunk one pic for my avatar here. And here with the ram bow, plus the extra breakwaters on the deck, which was its final form. Both pics from Mike James on ClassicOffshore.com. My build will be without the breakwaters, in the original ram bow form as shown in Levi's drawings. Interestingly both those pics, and many others, show the boat with the triangular shaped cabin top just forward of the cockpit, yet that doesn't appear in any of Sonny Levi's drawings in his two books. In passing, I've tried to edit the posts in my other thread to restore the pics, but there doesn't seem to be a 'modify' or 'edit' function. Is that possible on this Forum? always thinking outside the box - leading to radical very fast hull designs. 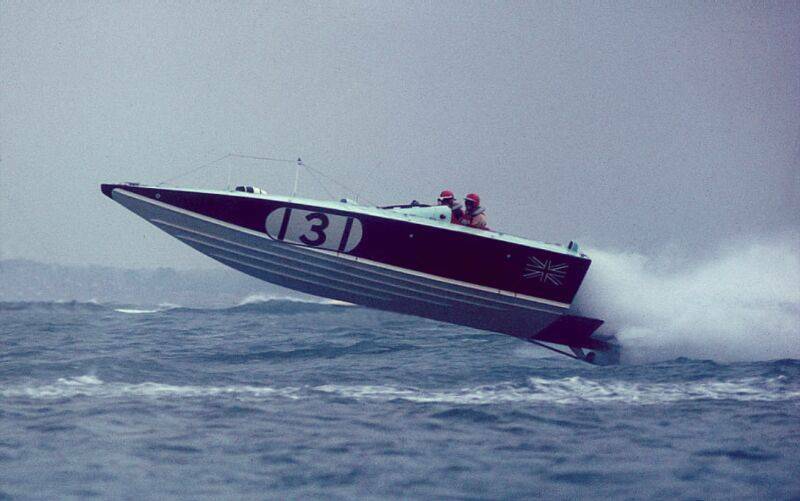 showing how she looked in the 1967/68 Cowes to Torquay races. its deck also had the the triangular cabin moulding and was painted in similar colours to Delta 28 in your photos. Jerome Grainger the manufacturer of the Delta and Cigarette powerboat models may be able to help. Thanks Paul, for the link to SHG and for the pic. One of the few pics of Delta 28 that DOESN'T how her totally airborne and standing on her prop tips!